Is there a difference between tortoiseshell cats and calicos? Are all torties and calico cats females? The following article answers these common questions and more. Although the typical tortoiseshell cat pattern looks like a combination of orange or cream and black, it is actually a mix of black and red-tabby. 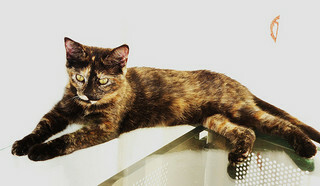 There are additional tortoiseshell colour variants produced by the red-tabby gene and the black fur gene. Red-based colours include orange and cream (its dilute form), and black-based colours include black, brown, and light brown, with their dilute forms being blue, lilac, and fawn respectively. Brindle – Colours are well mixed to create a fine splatter pattern. Patched – There are large chunks of colour. Calico (also known as tortoiseshell and white) – The tortoiseshell pattern includes blocks of white. Torbie (also known as patched tabby) – The torbie is a blend of tabby and tortoiseshell patterns in which the black areas are dark tabby rather than solid; patterns include classic (blotched), spotted, and mackerel. Pointed (Siamese tortoiseshell or calico) – Only the point markings on the face, ears, legs, and tail display the tortoiseshell pattern. When combined with smoked or shaded fur types, tortie markings occur only on the tips of the hair, which creates a shimmering tortoiseshell pattern overlying a pale undercoat. Some torties have a relatively equal distribution of coloured patches, whereas others have coats made up predominantly of one colour, with just a few areas in the opposing colour. Individual sections of colour usually blend softly without clear boundaries, and flecks of one colour are often interspersed within patches of another. Results may vary a little, because the expression of genes can either increase the tortie appearance or disguise it, so some non-torties may appear to be tortoiseshell, whereas others that appear to be solid red or black may actually be torties. It is also difficult to breed specifically for calicos, though having one black and one red parent may increase the chances. Why Are Tortoiseshell and Calico Cats Usually Female? Contrary to popular belief, not all tortoiseshell cats are female, though the majority are. The genes that produce the tortie pattern are located on the X chromosome, and two genes are required (the red tabby gene on one X and the black gene on the other). As females have two X chromosomes and males typically an X and a Y, the only way a male will be a tortoiseshell is if he has an extra X chromosome (XXY). This rare genetic error results in a sterile male cat with feminine traits. Having a male tortoiseshell cat stay in one’s home brings good fortune. Having a male tortoiseshell cat aboard a boat will protect fishermen from storms and ghosts. Dreaming of a tortoiseshell cat means that one will be lucky in love. See Cat Superstitions, Myths, and Proverbs for more feline folklore. 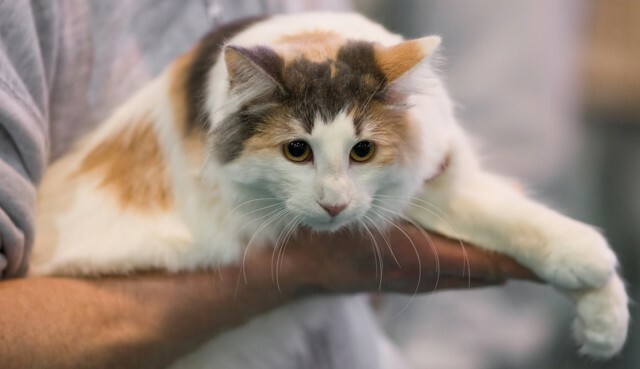 For those seeking names for their calico cats, Dr. Debra Primovic offers a list of ideas, including Autumn (for the fall colours in the coat), Cammi (short for camouflage), Confetti, Dapple, Dots, Pebbles, Speckles, and Splatters (see the Pet Names page for more). 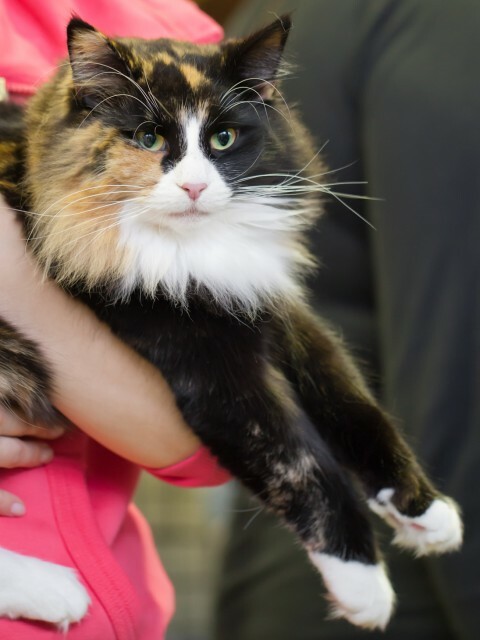 See Cat Coat Colours Linked to Temperament for information on the typical tortie/calico temperament, as well as common personality features associated with other coat colours and patterns. Hartwell, Sarah. (2008). “Tortoiseshell and Tri-Colour Cats.” MessyBeast.com. Rubin, Dawn, Dr. (2009). “Why Are Calico Cats Female?” PetPlace.com. Starbuck, Orca, & Thomas, David. (2004). “Cat Colors FAQ: Cat Color Genetics.” Fanciers.com. Thank for the in-depth explanation; I just learned this in school today.